The Super Bowl has come and gone! And, just like I thought (as I write this the Friday before the big day), the ___insert best team___ won the game in stunning fashion. However, let’s be honest with ourselves, nobody watches the Super Bowl for its intense action and emotional competition. We watch the Super Bowl so we know what things to buy! Super Bowl commercials are a popular additional form of entertainment, even though they are just leaked out a little before the event nowadays, more or less making the entire process useless. Regardless, let’s take a quick look at the Super Bowl ads that did the best job of subconsciously influencing you to buy things you don’t really need. 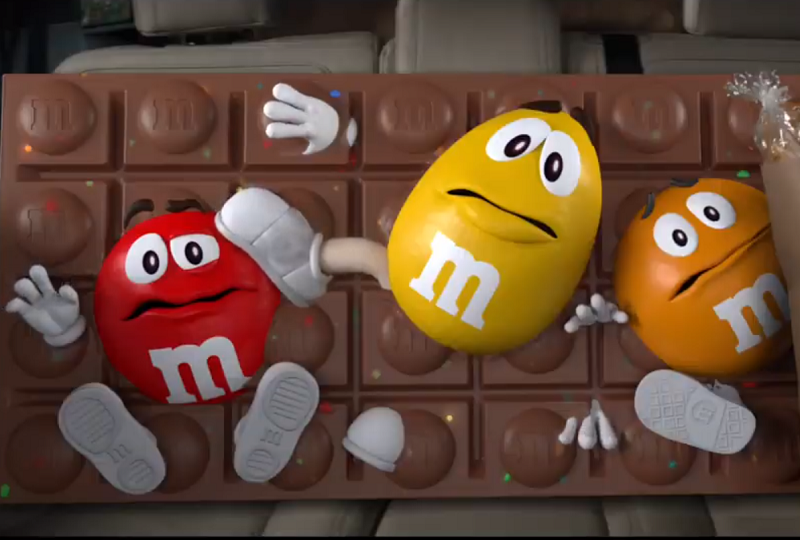 While it didn’t quite live up to the incredible standards of last year’s Danny Devito ad, the new M&M’s commercial still brought the laughs. Featuring a stressed out “mom” played by Christina Applegate losing her temper at a backseat full of bickering M&M’s, the short video is likely the only time a mainstream commercial will feature a mother seemingly threatening to eat her children. Is it the best M&M’s has ever done? No. But I find the M&M’s charming and this is my list. So there. Pepsi ads are generally known for being on the simpler side, generally playing it safe. Well, except that one that everybody hated. However, this year Pepsi decided to throw caution to the wind by embracing creativity and humor. Featuring an always-funny Steve Carell fighting against the popular saying “Is Pepsi OK?” and cameo appearances by Lil’ Jon and Cardi B, Pepsi’s ad this year is a fun and clever take on an established phrase. But still, let’s be honest, we’re all still a bit disappointed when a restaurant only has Pepsi. Yes, this commercial’s premise rests solely on the simple notion that “Bubly” sounds like “Bublé.” And, if I was the head of an advertising agency, I likely would have said that’s not enough for an entire ad to go off of. However, the simple, subtle production and acting within the commercial ended up getting a chuckle out of me. Sometimes it’s best to just keep things simple. Like the way I’m ending this paragraph. A creative idea with tons of potential, Hyundai’s “The Elevator” has an interesting setup. Featuring Jason Bateman in full Jason Bateman form as an elevator operator, the commercial sees different stops (which I assume mirror different rings of hell) that get progressively more painful from floor to floor, including a root canal, jury duty, and getting “the talk” from your parents, with buying a new car being the lowest. There’s plenty of laughs throughout, and I could see plenty of other painful floors they could use in the future, such as reading internet comments sections, dropping your phone in the toilet, and examining the 2019 political landscape. When I first fired up this commercial, I thought it was another typical “celebrity talks to a celebrity and clumsily mentions a product” kind of presentation. However, the more I watched it, the more I was impressed. While it does take a little bit to get going, the ad’s music video portion is worth the wait. In the nearly four minute extended version of the commercial, we see a man painted gold riding a landlocked jetski, an off-the wall animated portion, and 2 Chainz marrying himself. Featuring an interesting combination of catchy music, funny lyrics, impressive visuals, and Adam Scott being awkward (shocker! ), Expensify’s commercial is creative, comical, strange, and aesthetically pleasing. Just like any good Super Bowl commercial should be.